Christmas is the celebration of the union of the Divine and Human Nature of Christ in one Divine Person. There is no human personality in Christ, only the Divine. All the words, thoughts and actions of Christ are those of God Incarnate. This is the real meaning behind the celebration of Christmas. Among some scholars today, especially those keen in the ecumenical movement, it is often said that the Church in expressing the mystery of the Incarnation has bound herself to the terms of ancient Greek philosophy, and that as the old philosophy has passed away, the phraseology of the ancient councils-or synods-has become simply meaningless to the modern man. This is a complete misconception. 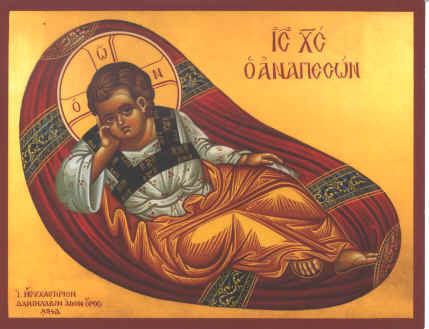 The doctrine of the Incarnation rests on the distinction between nature and person. In Christ there are two natures, the divine and the human, but only one Person, that of God the Son, the Second Person of the Blessed Trinity. The explanation of the mystery is beyond the greatest intellect, but the meaning of the mystery is intelligible to the simplest child. Every child spontaneously perceives the knowledge of the distinction between nature and person. Imagine that we come across a child in the dark, hold it, and ask: “What is that? Is that a big doll?” The answer will come: “No, it is a little boy, it is a little girl.” Supposing we alter our question and ask, not, “What is that?” but “Who is that?”, the child will spontaneously answer with its own personal name: “I am Peter. I am Maria.” By its answer the child has proved that it knew that in the first case it was asked for its nature and in the second for its person. Every man is fully aware that, though his fellow men share something with him, they are not he. They share with him his nature, but not his person. They are what he is, but they are not who he is. A man’s personality is essentially incommunicable to another person. Personality is something one and indivisible. As a matter of fact in many languages it is expressed simply by the number “One.” Someone, quelqu’un, einer, uno, and so on. It is just the one unity, from which all unities in human knowledge are derived. The first and radical meaning of person is that incommunicable something by which I am I and you are you. That is not our nature, for we have that in common, but another factor in reality, by which intelligent beings are individualised. Such is the act of faith easily elicited by the minds of the learned and the simple, natural to children as well as to the aged, independent of the knowledge of any system of philosophy. Yet a mystery the Incarnation will always remain. How one single person can possess two natures, leaving those natures complete and unchanged and yet holding them both in the unity of his single personality, how the infinite God, remaining immutable, infinite, eternal can in time assume a created human nature, with mind and body, heart and soul as His very own, so that Jesus Christ is true man and true God, how all this is possible no one on earth during his mortal life can explain. On earth we only comprehend the union of one person with one nature, for nature and person together constitute the only individuals we know. That one individual should possess two natures has no parallel on earth and is beyond our experience. It is utterly unique. That a finite and created individual could possess two natures may well be doubted, but we are dealing with an infinite, eternal, uncreated person, and that He could assume another nature unto Himself, who can gainsay? But how it can be done and the manner of the union is beyond our understanding. His human nature was human, completely, fully and only human. His divine nature was God. Neither His human nor His divine nature is a compound of humanity and divinity. Neither nature has “another side” to it. There are two natures, which are, as natures, totally distinct, but there is one single person which actuates, or holds, or possesses both natures, and gives them being. and to know You, the Dawn from above. I’ll see you in 2002,… God willing!